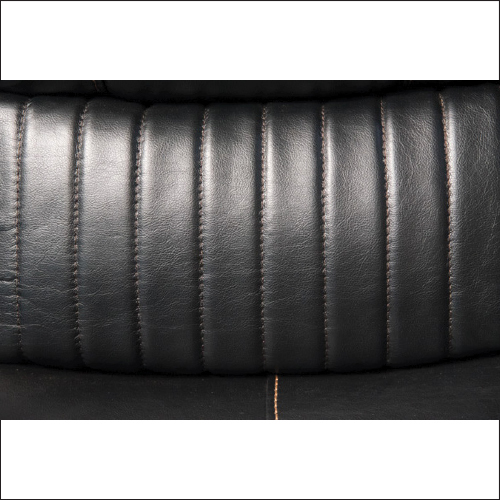 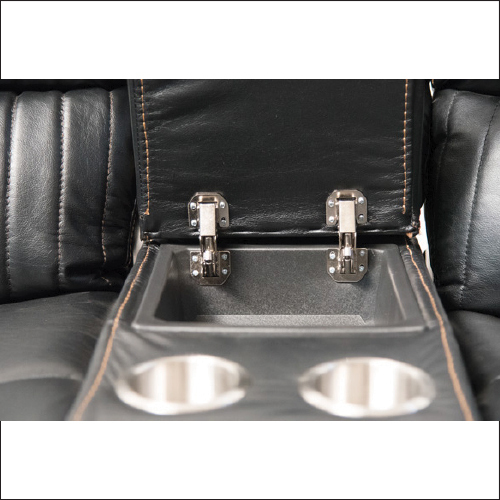 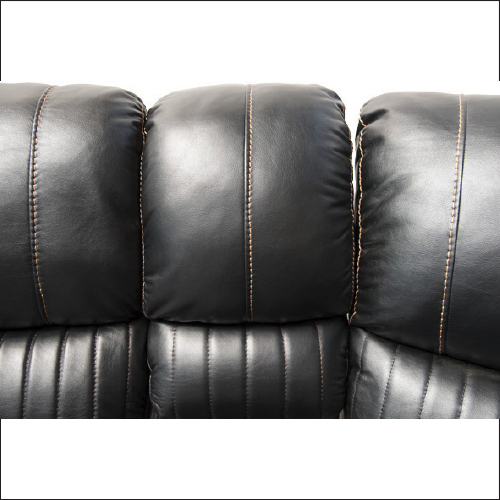 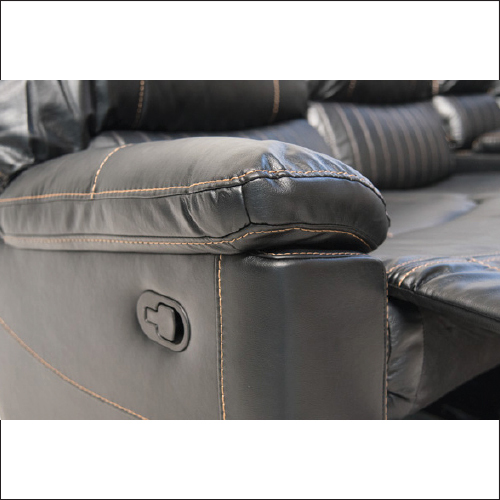 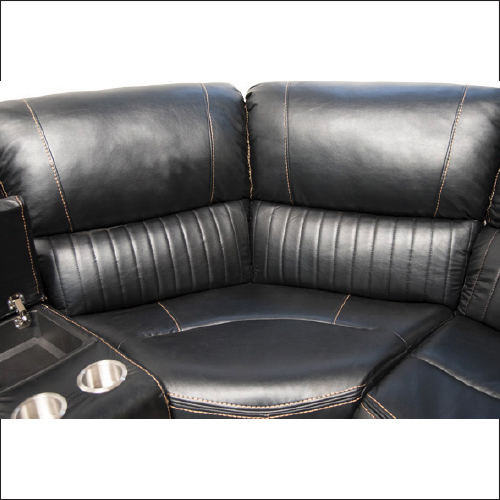 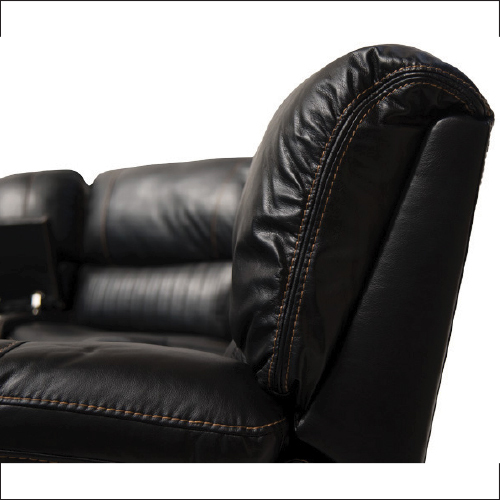 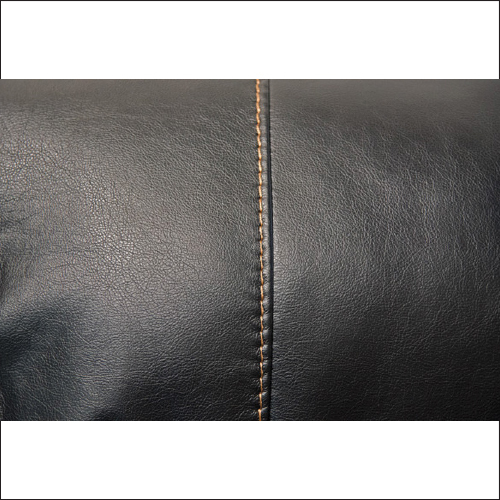 Reach new relaxation heights with the breathable eco leather on the ZBF001 Corner Recline Suite. 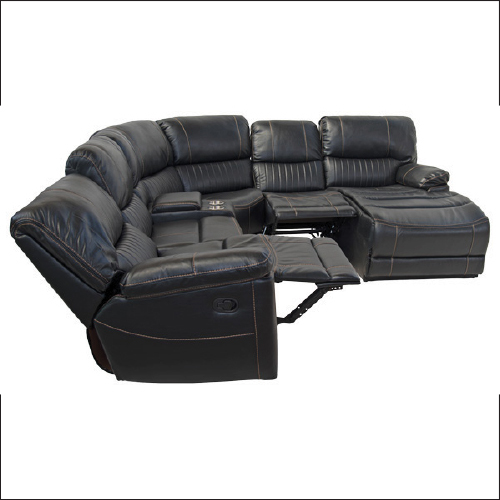 Constructed of a hardwood frame with black eco leather upholstery with contrast stitching, the ZBF001 Corner Recline Suite has room for all your guests and more to recline with 2 manual recliners. 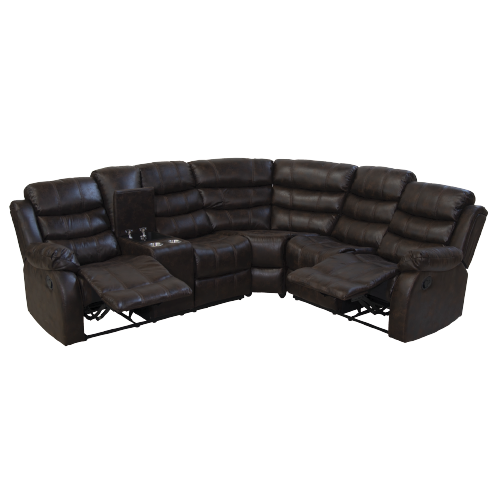 Relax and unwind in this modular corner couch that features generously stuffed cushions, pillow top arms, and contemporary design you will love. 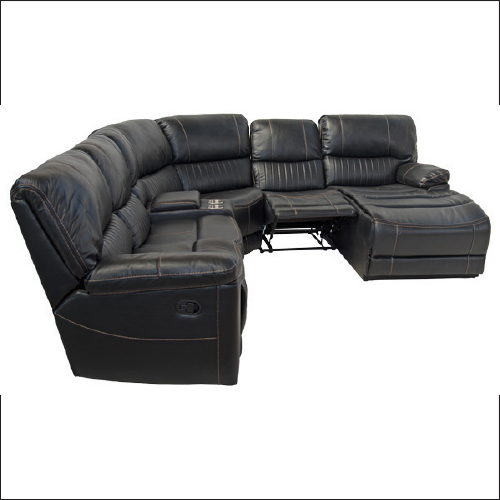 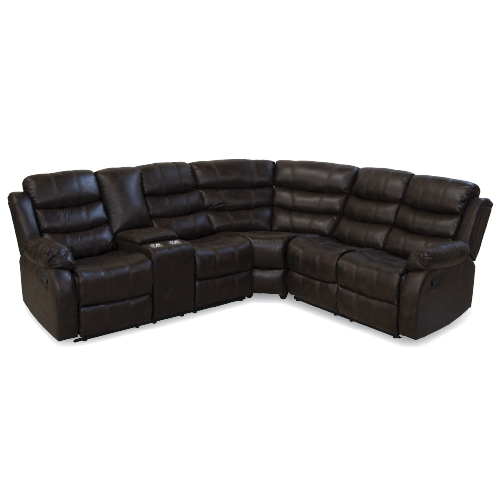 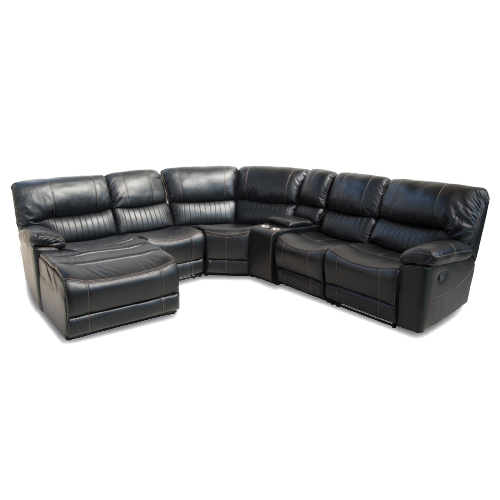 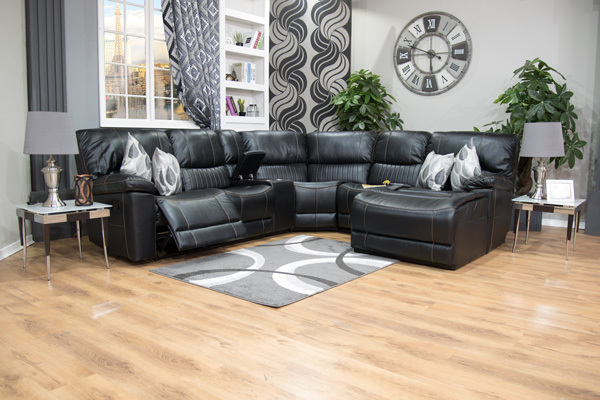 Take home this superb sectional today.